Victoza is an incretin mimetic used to lower blood sugar in patients with Type 2 diabetes. Use of the drug may be associated with pancreatitis and pancreatic cancer. Novo Nordisk obtained U.S. Food & Drug Administration (FDA) for Victoza in 2010. The medication is an incretin mimetic that belongs to a class of Type 2 diabetes drugs called glucagon-like peptide-1 (GLP-1) receptor agonists. GLP-1 is an incretin hormone that affects the liver, pancreas and gut and helps control glucose, insulin and gastric emptying. Victoza and other drugs in this class mimic the action of GLP-1 to stimulate the release of insulin from the pancreas. Victoza is an injectable drug that patients administer once per day by inserting the prescription pen into their thigh, upper arm or stomach. It is sometimes prescribed alongside oral diabetes medications such as Actos, Avandia, Amaryl (glimepiride) and metformin. As of March 2013, almost 1 million Americans took Victoza or another GLP-1 mimetic. During the first quarter of 2013, Novo Nordisk reported $475.8 million in Victoza sales. FDA reviewers originally recommended against approving Victoza because of an association with thyroid tumors, and an increased risk for pancreatitis. The reviewers also expressed concern that the drug had not been sufficiently studied to rule out a heart attack or stroke risk. By June 2011, the FDA had issued new warnings linking the Victoza to pancreatitis, thyroid cancer and renal failure. According to the Institute for Safe Medicine Practices, the FDA received reports of more than 100 cases of acute pancreatitis and pancreatitis linked to Victoza within the first nine months of its approval. June 2011: The FDA required Novo Nordisk to issue a letter to doctors in order to ensure that they were fully aware of the risks associated with the drug, including thyroid tumors and pancreatitis. “In clinical trials studying Victoza, there were more cases of pancreatitis in patients treated with Victoza than in patients treated with comparators,” the letter stated. Some studies have suggested that incretin mimetics like Victoza may increase a patient’s risk for pancreatic cancer. March 2013: The FDA announced that it was investigating the entire incretin mimetics class, after a study discovered inflammation of the pancreas and pre-cancerous cell changes in the pancreatic tissue taken from patients who had used the medications. However, the agency has so far been unable to confirm a link between these drugs and pancreatic cancer. In April 2012, the consumer advocacy group Public Citizen filed a petition with the FDA that sought a Victoza recall. 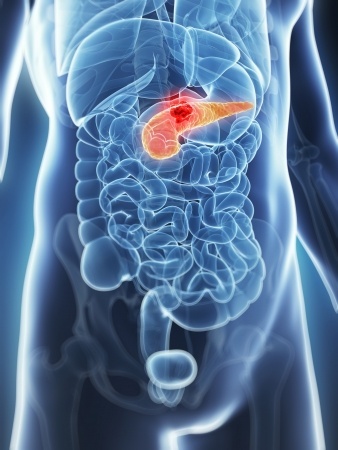 The group renewed it demand in March 2013, after the FDA announced it was investigating a possible link between incretin mimetics and pancreatic cancer.